The Adventures of Andy: To Van Halen or not to Van Halen?!?! To Van Halen or not to Van Halen?!?! 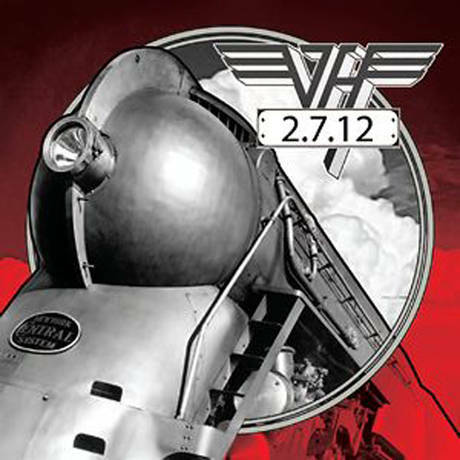 It was a late Christmas gift I received when I logged onto facebook and saw an announcement from the official Van Halen website about tickets for a new tour going on sale in mid January. Lets back this up for a moment. Van Halen is my favorite band of all time! In fact I pretty much don’t even listen to music if it’s not Van Halen. I saw them twice on their last tour, and at least once on every tour since 1995. If you are keeping track, that’s’ 5 shows, plus the Daive Lee Roth/Sammy Hagar show dubbed the “Sans Halen” tour. I even once painted my computer to look like Eddie Van Halen’s guitar. I should find photos of that. What can I say… It was the 90’s. That’s the decade when Nirvana was popular. A lot of bad decisions were made. Times, and technology have changed. I honestly cannot remember the last time I actually loaded a CD into any type of device for listening purpose. Come to think of it, I don’t remember the last CD I purchased in physical form! Why? Because ever since iTunes, I can download music faster and cheaper than it would take me to drive to Wal Mart, purchase it and even if I play it in my car, let alone bring it home to play it on my Bose system. Speaking of playing CD’s in my car. The Neil Diamond Christmas (do you get the irony?!?) album has been the only disc in my car stereo for at least two years now. But I digress... Oh you should be used to it by now. 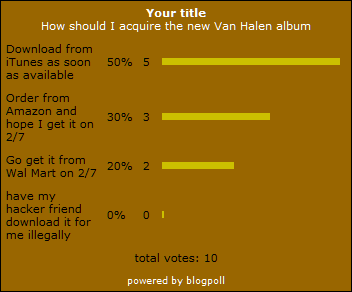 At one point I had a shelf with every Van Halen album sitting on it in order of release date. So aside from greatest hits compilations in which I only downloaded the newest songs, I have the complete set. But what’s the point of physically owning music? Will “A Different Kind Of Truth” be the first Van Halen album that won’t be on my shelf… not that I still have that shelf, all my CD’s are in a box in a closet. But I do like to read liner notes.